Robert Kelly and Rob Prinzo have started using Twitter to connect project managers in an unusual way. 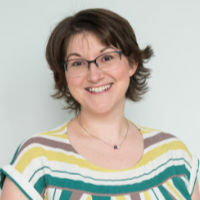 I spoke to Robert about how they are bringing project managers together online (and even better, how you can earn PDUs for hanging about on Twitter!). Robert, you use Twitter to coordinate conversations between project managers through a Twitter chat. First, tell me what a Twitter chat is. A Twitter chat is a pre-arranged discussion that occurs on Twitter at a specific day and time each week. While there are several variations, most Twitter chats are coordinated by a host/s and leverage the use of a hashtag (#) for the community to participate in this virtual conversation. Each Twitter chat has its own feel and personality. While some are more of an open discussion, others chats have a more structured agenda and the discussion is moderated by the host/s. OK. Your chat is tagged #PMChat. How does it work? #PMChat is hosted by myself and Rob Prinzo and we both take on a role for the week. One will post a question and make sure we are staying on track, usually one question on topic every 15 minutes or so. The other person is welcoming folks as they join, retweeting comments made by the group, and making sure we stay on topic. For those who aren’t sure, you don’t have to have a Twitter account to see the discussion, although you would need one if you wanted to contribute. For people who aren’t comfortable using Twitter, are there other ways to join in? Some Twitter chats stop there, while others branch off into other platforms. #PMChat for example has branched out to include a 15-minute live radio show just before the actually Twitter chat, we have a LinkedIn group, and a website. The website is used to post a recap to the previous week’s chat, guest blog posts for the upcoming week’s topic, the schedule of topics and more. Why did you decide to start #PMChat? Rob Prinzo contacted me about the idea few months back. He had noticed a few of the Twitter chats happening with other topics, but realized that project managers didn’t have such a platform. I was getting a bit tired of some other commonly used hashtags moving away from collaboration and turning into one-way distribution of information. We saw a void in the PM community for a real-time, collaborative platform for practitioners to share best practices and bounce ideas off of one another. There is a shift in how people are learning and traditional development models. The project management path has long been characterized by the accidental project manager who is left on their own to figure it out. We saw a real opportunity for junior project managers (coordinators, analysts, etc) to join in discussion from industry thought leaders, for senior practitioners to collaborate with other experienced PMs from around the world and across industries. #PMChat is turning into the open-source learning module of our discipline and it is exciting! If there is lots of learning going on, can people count that towards their professional development? Yes. One great side effect of their participation is that they can earn 1 free PDU under Category C for the hour. What sorts of topics are discussed? To date, the topics we have covered include: Project Management vs. Project Leadership, Developing a PMO, Developing Requirements, and Managing Scope. The full list with links to the past Pre-Game Radio shows and Twitter chat recaps can all be found on the website. Sounds great! How can people get involved? Rob and I do not want this to ever become the Rob & Rob show, we need the PM community to get involved and we believe there is something for everyone. If you want to simply participate you can listen in to the 15 minute #PMChat Pre-Game Show on Fridays from 11:30-11:45 EST. You can go to BlogTalk Radio and search for KPS Chatter. During this live radio show, Rob and I host that week’s guest and talk about the topic for that week’s chat. Then you can join in on Twitter from 12-1pm EST by following the hashtag #PMChat. A Twitter chat is a pre-arranged discussion that occurs on Twitter at a specific day and time each week. If you would like contribute, we have opportunities for people to provide a guest post and/or join the#PMChat Pre-Game show each week. People can also join the LinkedIn group, right? The LinkedIn Group is #PMChat and we invite you to join. The discussions get deeper then the 140 character limit of Twitter and often tackle different topics than that week’s topic. All with the theme of collaboration. Excellent! If people want to join in what should they be aware of in terms of etiquette around participating? Our group is a lot fun! There is a lot of reference to beer when talking about team building. Aside from fun, we ask the community for two things. Self-promotion should be kept to a minimum on the site, LinkedIn discussions, and during the Twitter chat. Having said that, we want your efforts to be recognised. We know that sometimes a blog written by a community member supports their case or comment and that is well accepted by everyone. Next is collaboration. Success of this community will only come from bi-directional feedback. Simple retweets are not embraced by the community as much as feedback,insight, and opinions. What’s been the most surprising thing you’ve discovered as a result of running the chat? There are a few things that have surprised me about running the chat. First, the amount of time that is required to coordinate all the activity. Rob and I alternate posting the recap each week, updating the Pre-Game show links, coordinating the guest for the week and so on. The feedback we have heard has been outstanding! Most people have not joined a Twitter chat before and are pleasantly surprised. We have received dozens of messages thanking us for setting up the chat and providing a fun, professional, and educational experience. Lastly, I am amazed at the relationships being formed. We have had community members collaborate on book titles, students being assisted with class projects, and members chatting on Saturdays about their weekend road trips. People are learning, relationships are being made, and people are having fun. Thanks, Robert! I look forward to joining a Twitter chat! You can get in touch with Robert (@rkelly976) or Rob Prinzo (@robprinzo) on Twitter. I don’t have a Twitter account, so I love the fact that I can still see the discussion. I think it’s nice to be able to earn 1 free PDU for the hour. I am not aware of too many places that hand them away for free. I currently attend live PMI webinars that are done by Project Insight. They give away free PDUs for staying throughout the entire hour webinar. I’m simply amazed how social networking now plays a huge part in our professional careers. This is a well-written and informative post Elizabeth. Thank you. Elizabeth, thank you so much for sharing #PMChat with your community! @52b60b62b5482dbd292d8a3b0412507d:disqus I would love to talk with you about having you or someone from your community on #PMChat in January. We have Agile scheduled as a topic for Jan6th and would like to have someone provide a guest blog post, join the Pre-Game Show, etc. Our community would learn a great deal about Agile and you could share the news about you your Tweetup. Hi Robert, I think your comment got a bit garbled: did you mean for your response to be directed at Bob? He’s on Twitter as @btarne if you want to get in touch about scheduling something. I’ll leave you two guys to it! 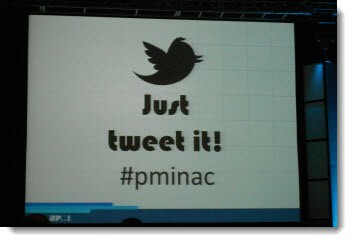 The PMI Agile Community of Practice has also been running TweetChats, now for about a year. Follow @pmiagile and watch for the #pmiagile hashtag. We also have a LinkedIn Group. Bob, thanks for letting us know – I’ll look out for the Agile chats.